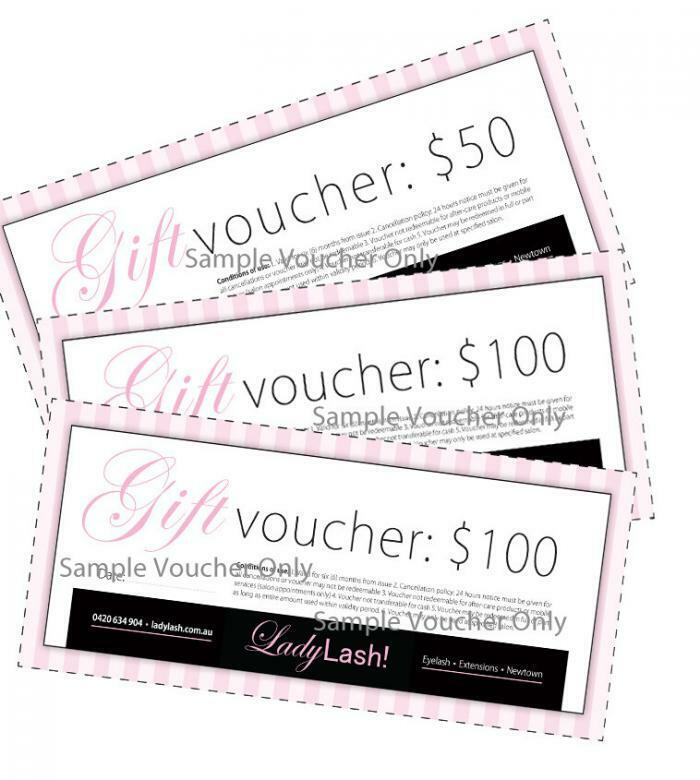 $150 Gift Voucher for Lady Lash Australia. Valid for all lash services in salon. Not available for mobile service or for use in conjunction with specials/discounts/promotions. Vouchers also available in $50, $100, $110, $150 and $200 amounts.